You are here: Home / Classes / Chocolate Flower Demo at The Cake World! Chocolate Flower Demo at The Cake World! Hey, local cakers! 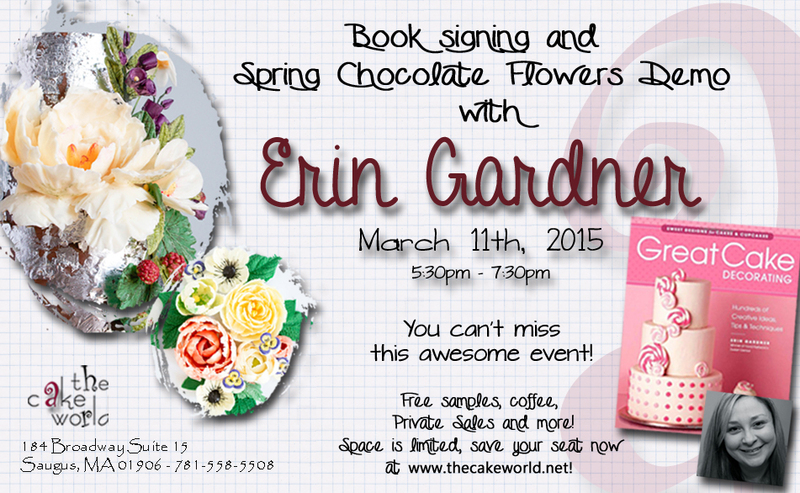 Come join me at The Cake World in Saugus on Wed. March 11th from 5:30-7:30pm for this terrific *free* event! I’ll be signing books and demo’ing some beautiful springy chocolate flowers. Perfect for your Easter cakes and cupcakes! Hi, Great class wist you could do one on roses.